Come and experience the most beautiful couple dance! A 4-week course for absolute tango beginners. No partner necessary. This course equips you with all the basic steps and techniques to begin your tango journey on the dance floors in any cities in the world! 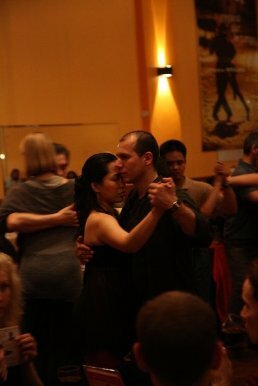 – Tango Instructor & Performer of “Tango Argentino Series” in Chinese University of Hong Kong, Hong Kong Baptist University. Academy (HKAPA) and Overseas Dance Universities. Venue : Trio Spin Studio, 7B Time Centre, 53-55 Hollywood Road, Central, HK. Dress code : Please wear shoes with leather soles . Heels for ladies.